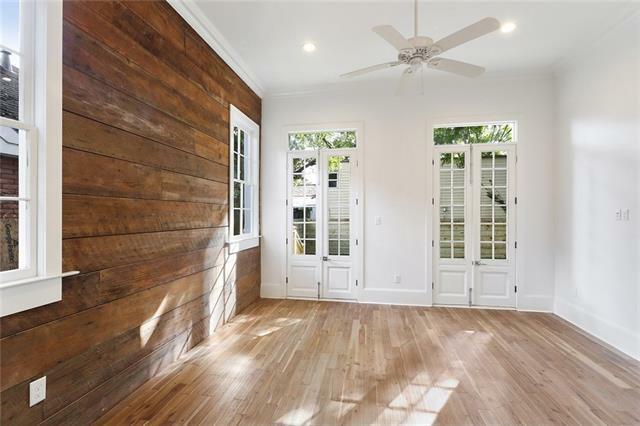 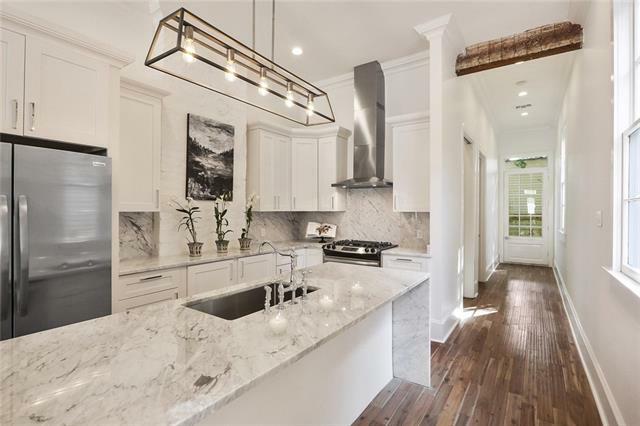 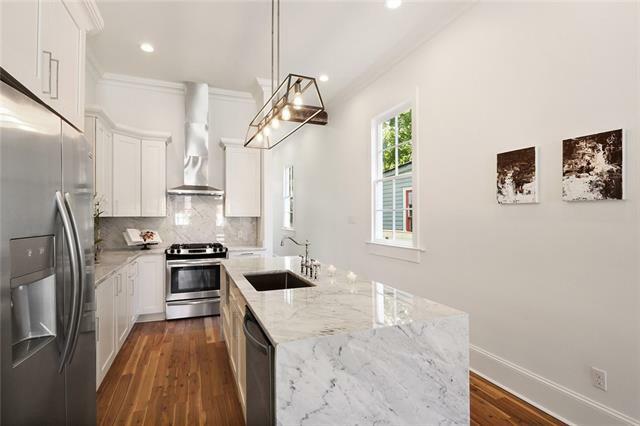 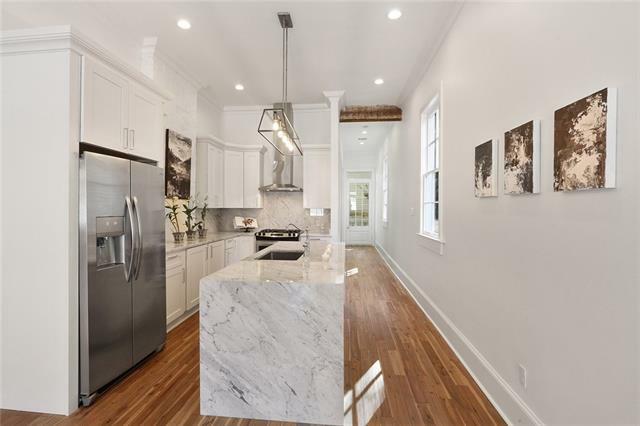 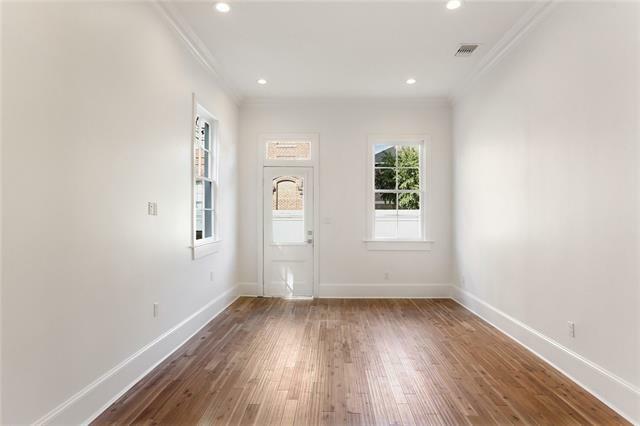 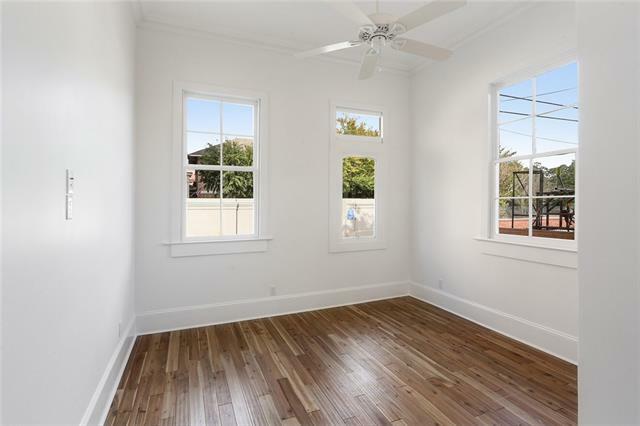 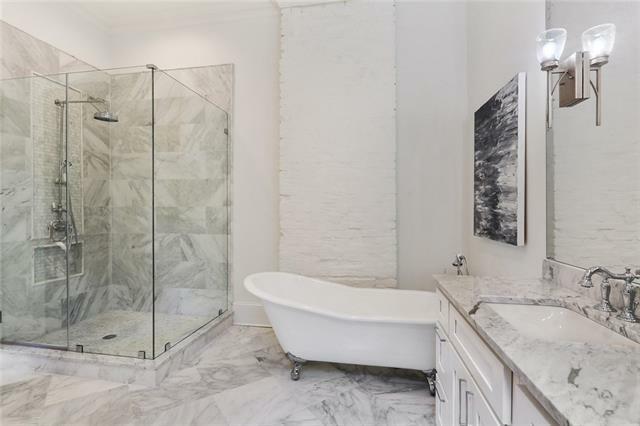 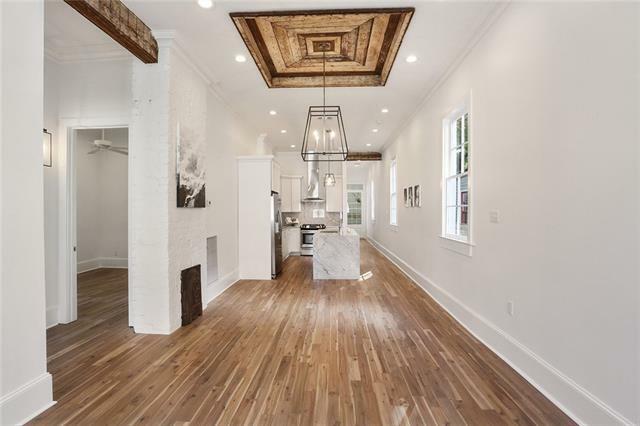 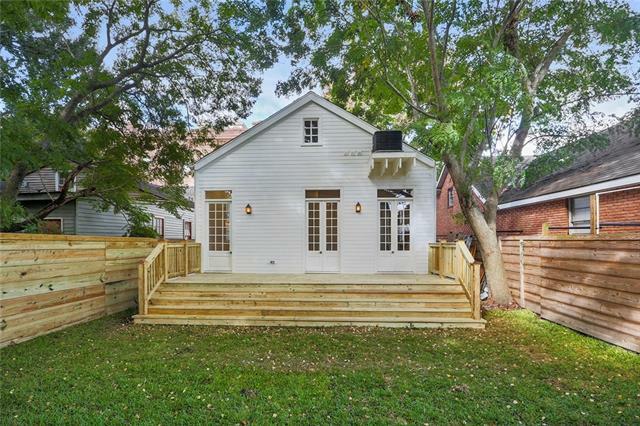 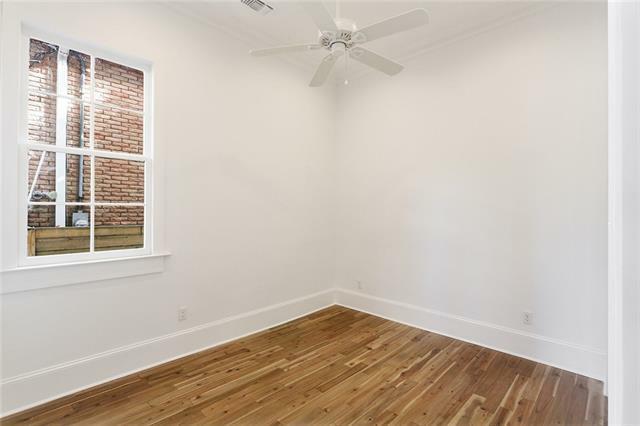 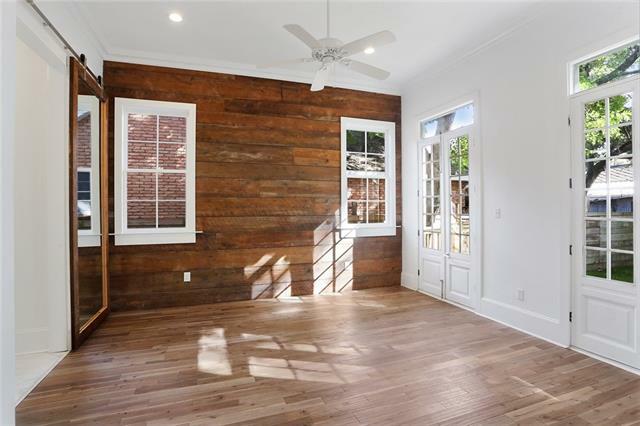 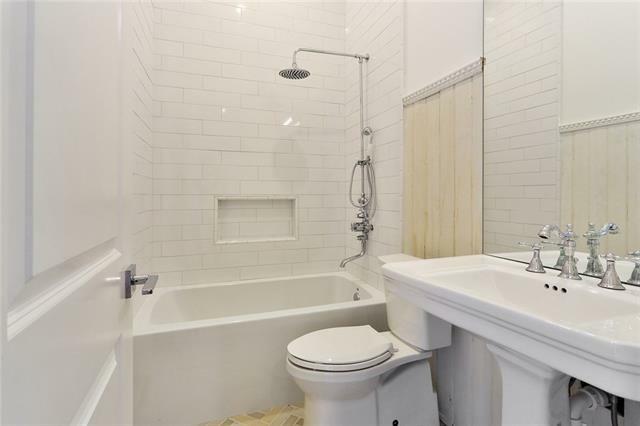 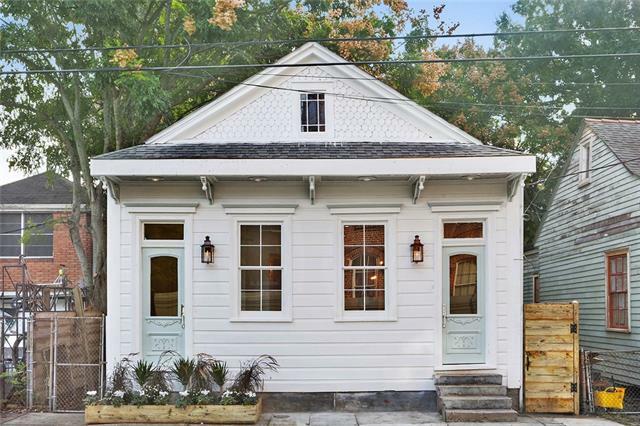 Fully renovated 1830’s Bywater beauty! 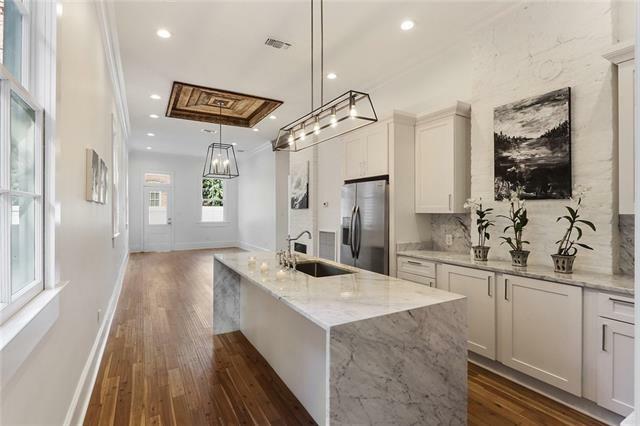 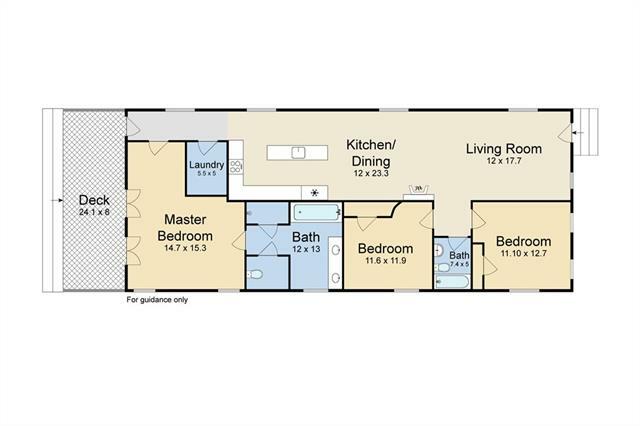 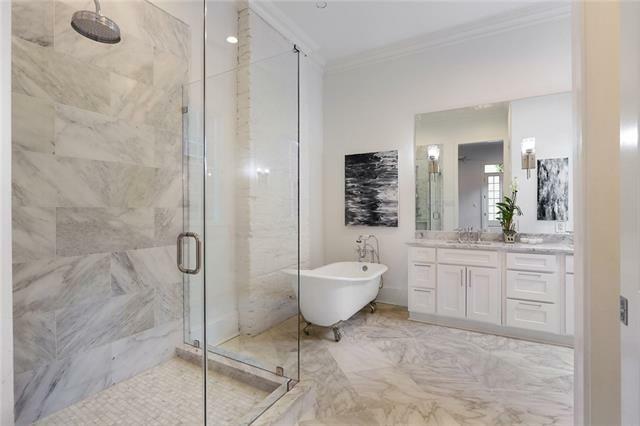 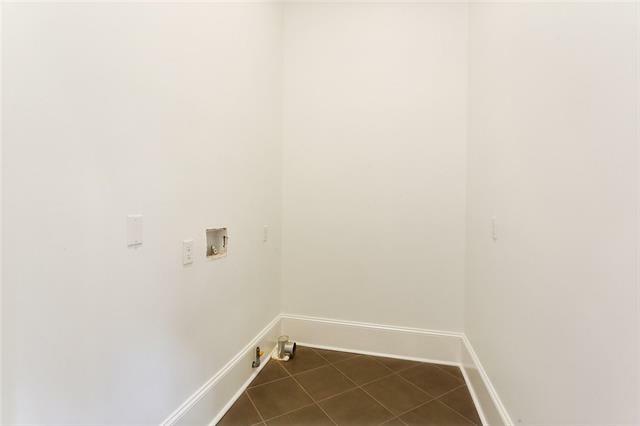 Open floorplan with lots of light, hardwood floors, crown molding, and a Carrera marble waterfall island with farm sink. 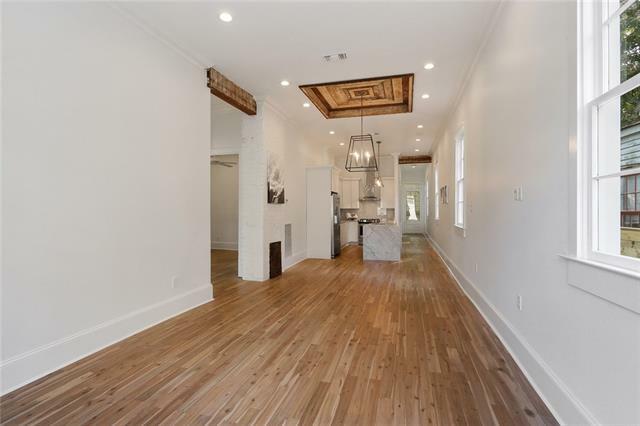 Architectural details throughout including re-purposed original wood details. 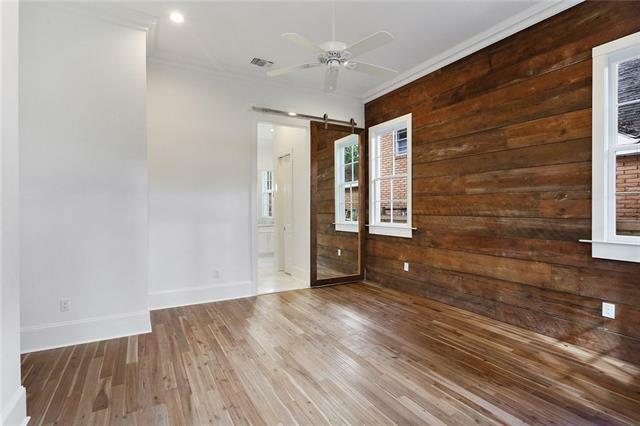 Master bedroom highlights include custom mirrored barn door, original barge board, walk-in closet, and spacious en-suite bath. 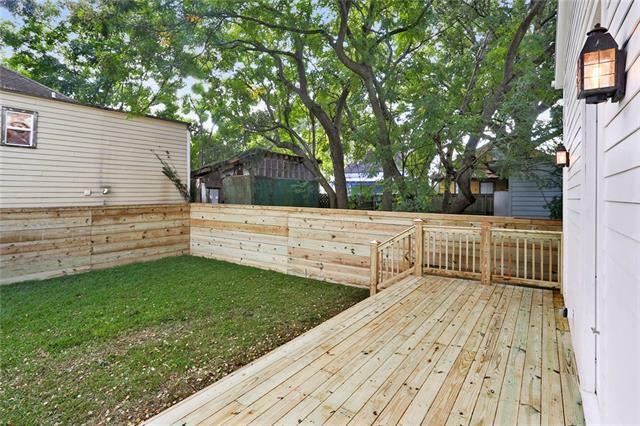 French doors lead out to huge backyard and brad new deck perfect for entertaining. 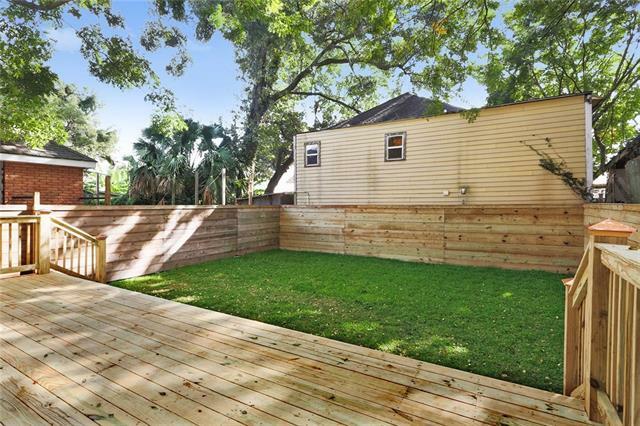 Located in great section of the Bywater close to Crescent Park!